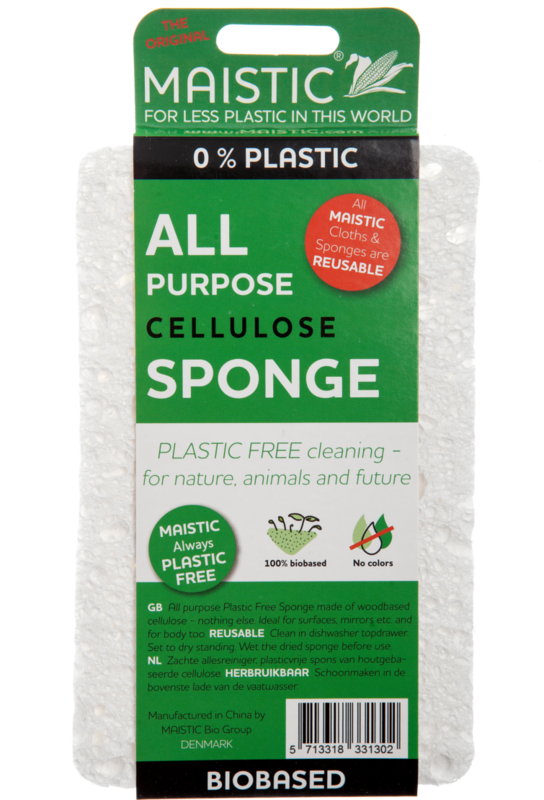 Three sponge like cloths free of micro plastics and an effective alternative to plastic based sponges. You will notice that the normal plastic based sponges disintegrate on use and create tiny pieces of microplastic. These plastics cannot break down and end up in nature and ultimately in the food chain. 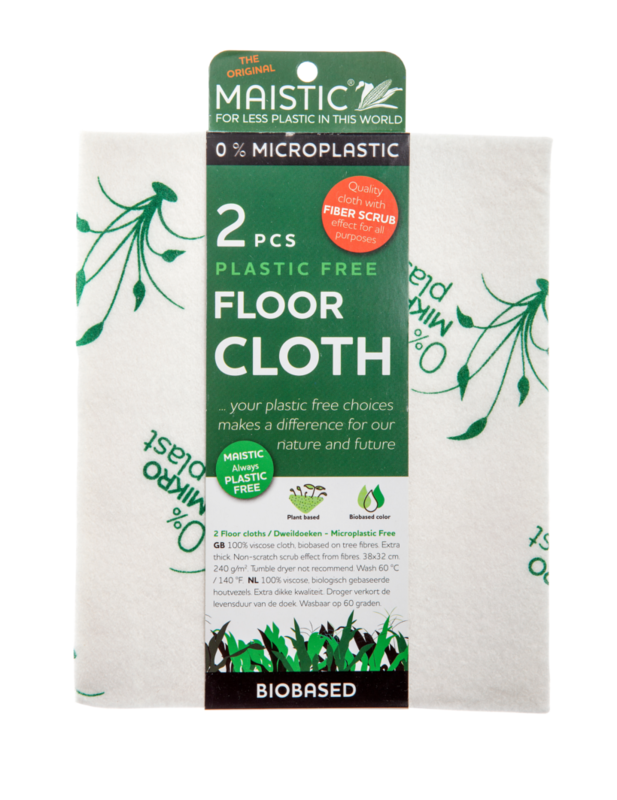 These cloths are 100% plant based, compostable and can be washed at 60 degrees in the washing machine. They are quick drying, absorbent, long lasting and wipe streak free. A perfect wiping cloth for everyday use inside the home and out. 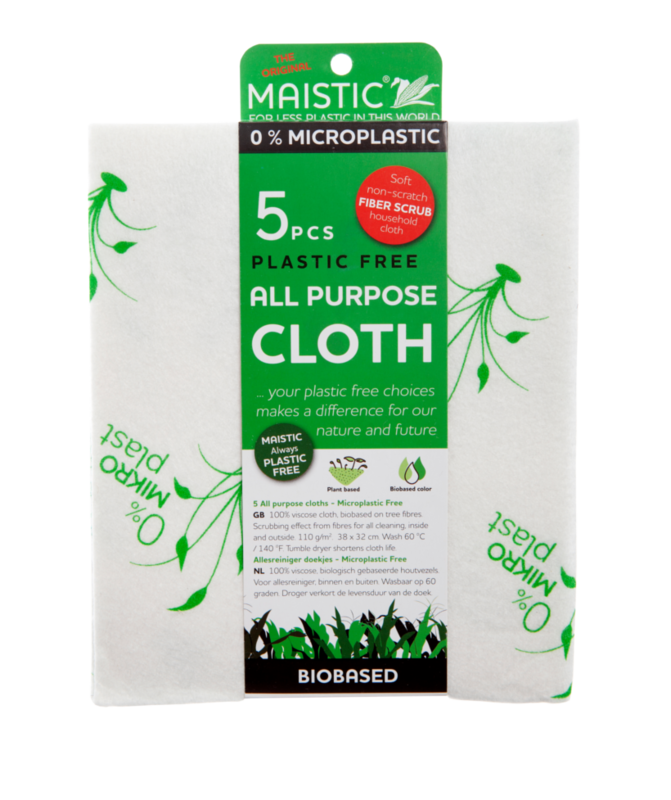 How to use Maistic plastic free sponge cloths; Use damp for surface cleaning, wring dry and wipe. Recommended washing at 60 degrees in the washing machine. Do not tumble dry. Packaging; Vegetable based packaging, compostable.